Local elections in Guinea, expected since 2005, will not take place before the end of the year, an opposition party spokesman said Monday, a month after demonstrations calling for polls. Opposition spokesman Aboubacar Sylla said the Independent National Electoral Commission (CENI) had announced the delay at a meeting called to resolve the issue. The CENI’s timetable “provides for a 120-day deadline from a date to be determined (…) which brings us to 2018,” he added. Local elections should have been held in February under an agreement reached in October 2016 between the government, opposition, civil society and international partners in Guinea. But since then, despite opposition demonstrations demanding President Alpha Condé respect the agreement, the election timetable has slipped. The opposition spokesman also highlighted “uncertainties linked to the financing” of the vote, which has been constantly postponed, since CENI has only a third of the necessary budget to organise it. A month after the anniversary of the agreement to hold the elections, there are still “many provisions not applied”, he added, citing the absence of an audit of the electoral register and a lack of compensation for victims of political violence. He pointed to a “lack of political will on the part of the authorities”. 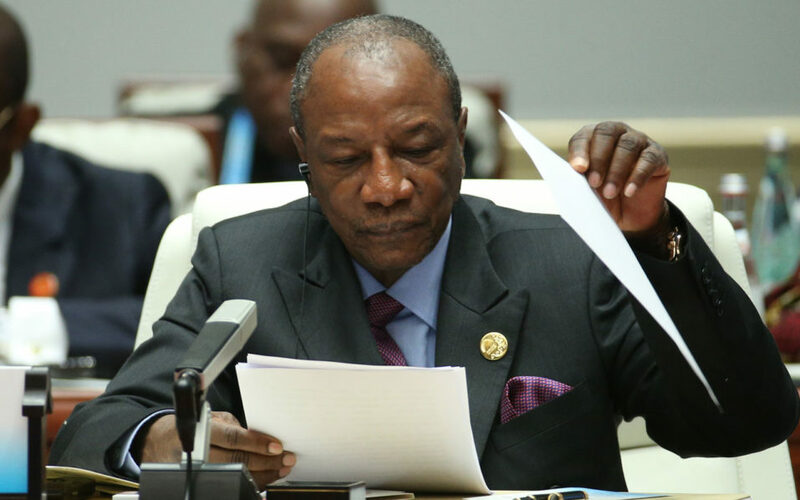 “Little by little, we are in the process of solving the difficulties, but in such an ordeal, it can not be said that you are starting today and that you are finishing tomorrow,” said the Minister of Foreign Affairs, Territorial Administration and Decentralisation, Boureima Conde. Conde became Guinea’s first democratically elected president in 2010, taking over a nation run by a succession of strongmen following independence from France. Political distrust is high in Guinea, a mineral-rich but deeply poor country where ethnic tensions often turn deadly around election time.